LENOX is a leader in cutting accessories. 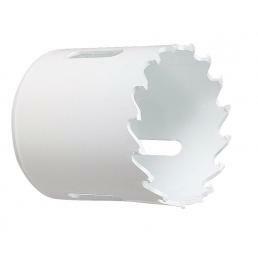 These include its high-quality hole saws, from SPEED SLOT® to LENOX Diamond™, to carbide tipped hole saws. Discover the catalogue on the pages of Mister Worker™ and check the Special Offers page! Maybe you need to work with wood (even with nails), or to work on metal, plastic, stainless steel or plasterboard. Or you might have to work on cast iron, concrete, tiles or granite. For each of these cases, LENOX has the answer. And it's an answer with high quality products. Among the best results in the selection you can find the SPEED SLOT™ Hole Saws with T3 technology, especially for drilling in wood, non-ferrous materials, metal, stainless steel and plastic (and compounds). These hole saws have double strength and 50% longer service life than the previous LENOX generation. Check the product page to find out more details about this valuable drilling tool: from the best performance for metal cutting and wood cutting, to the easy removal of residual material, up to the advanced configuration of the teeth. A very high level is also reached with the LENOX Diamond™ Hole Saws, which are particularly suitable for drilling holes in cast iron, concrete, abrasives, tiles and granite. It allows high performance, with more holes in less time, and the continuous cutting edge in diamond powder allows a longer life on tiles and stone. The LENOX Diamond™ also has greater strength in the most intense applications, because of its robust design, and requires less pressure. As with the previous article, the removal of residues is also easier: the enlarged opening in the hole saw allows easy removal. 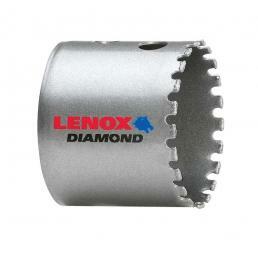 The advice by Mister Worker™: use the LENOX Diamond™ with a standard arbor or Snap-Back™ for best results! 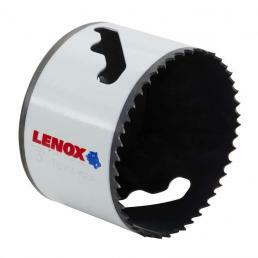 In Mr. Worker™'s catalogue you can find LENOX hole saws for all types of materials. If you need tools for drilling various materials, Mister Worker™ is the online store for you, with a wide selection of professional products. The offer of products is covered by warranty, for safer purchases, and the items are shipped within 48 hours. Moreover, the Mister Worker™ customer service and its consultants are at your complete disposal for any question or request: contact us and we will answer you as soon as possible!